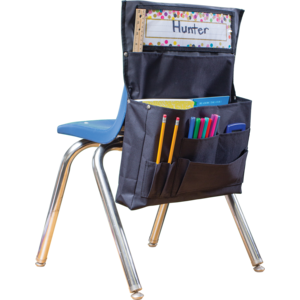 Organize supplies with this convenient storage solution. Clear pocket holds name plate up to 3½" x 11½". 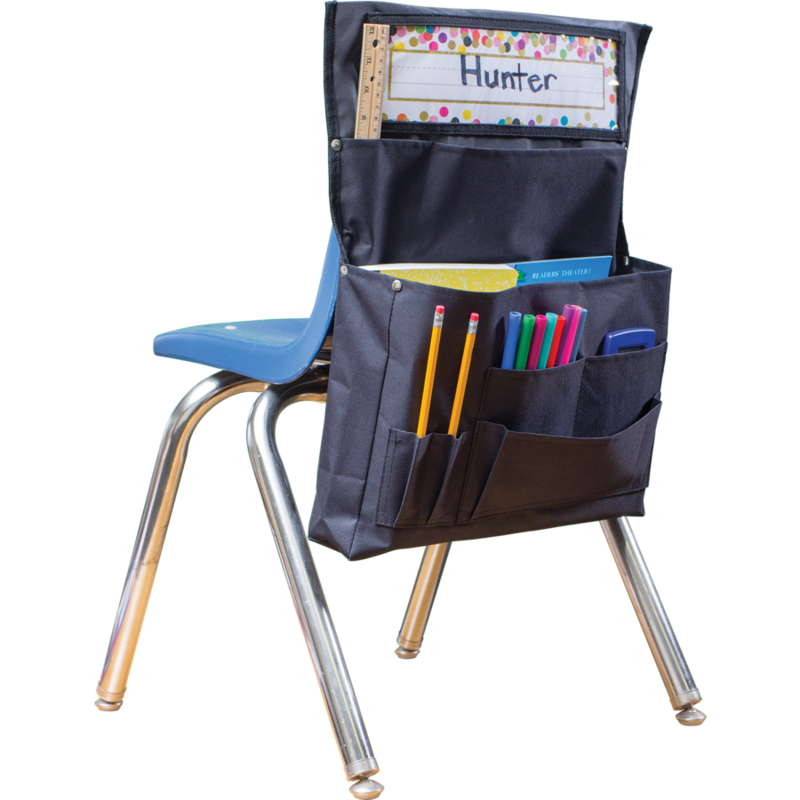 7 storage areas: Large pockets are ideal for workbooks, folders, etc. and small pockets are ideal for supplies. Made with durable canvas. Metal rivets provide extra strength at stress points. 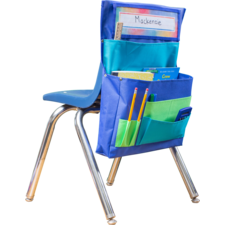 Easily slides over back of chair up to 15" wide, 5" from top. Measures 15½" x 18".